I saw this one up for auction last night and threw in a low bid. 1982 Grecos are always a good bet. I had a Bacchus V that I should never have sold but we all do stupid things from time to time. I should have this in a week or so but in the meantime here are a few pictures of this one. 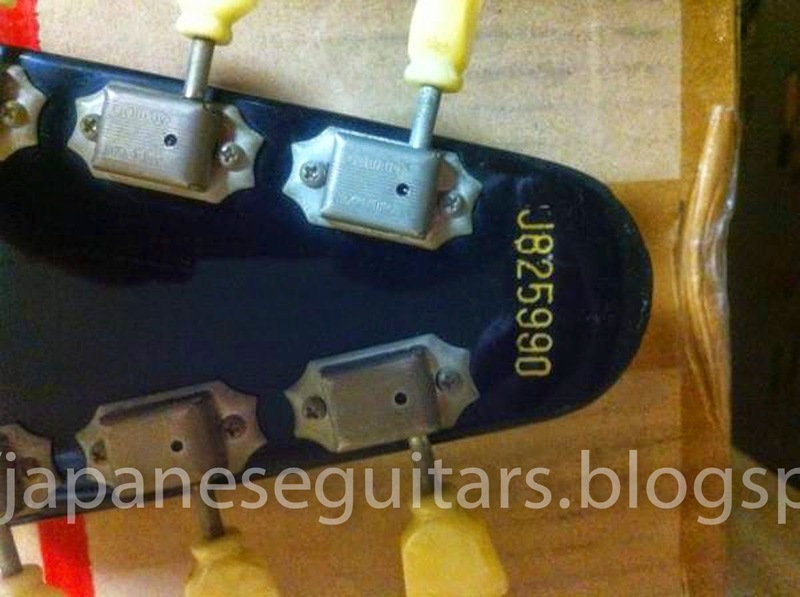 It has a mirrored truss rod cover and pickguard along with '68 style radio knobs. 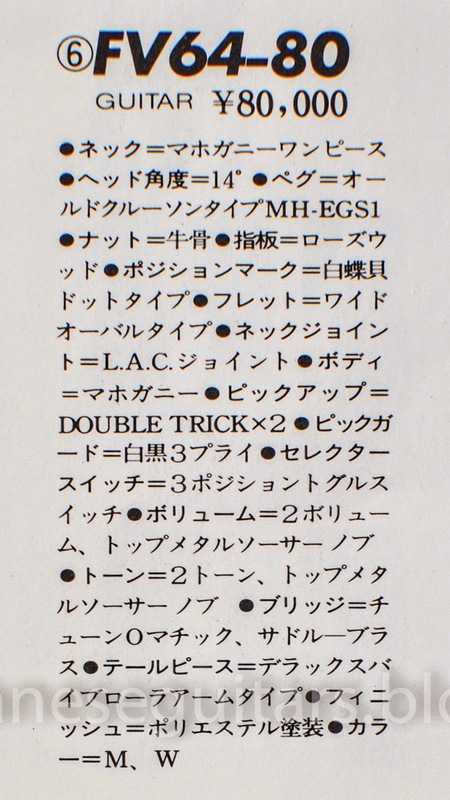 Made by Fujigen in December 1982. That is all I know about it. The only flying V in the 1982 catalog is quite different and I don't recall noticing any for sale. 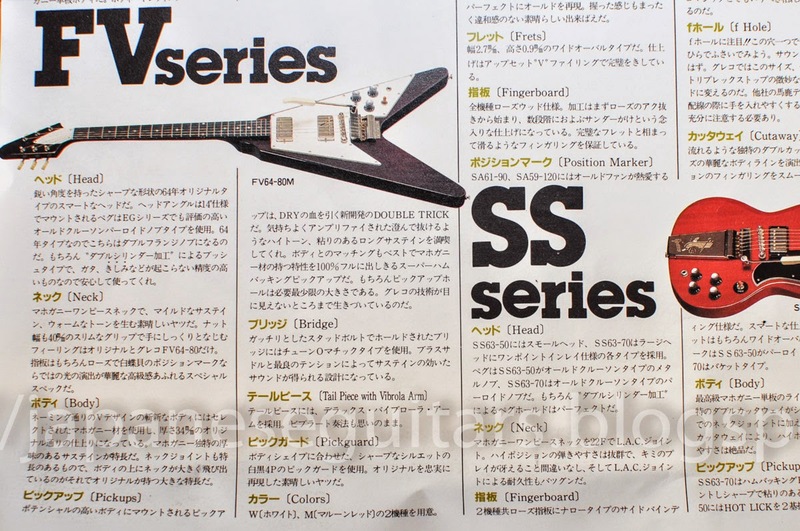 There are however lots of the Michael Schenker models out there. 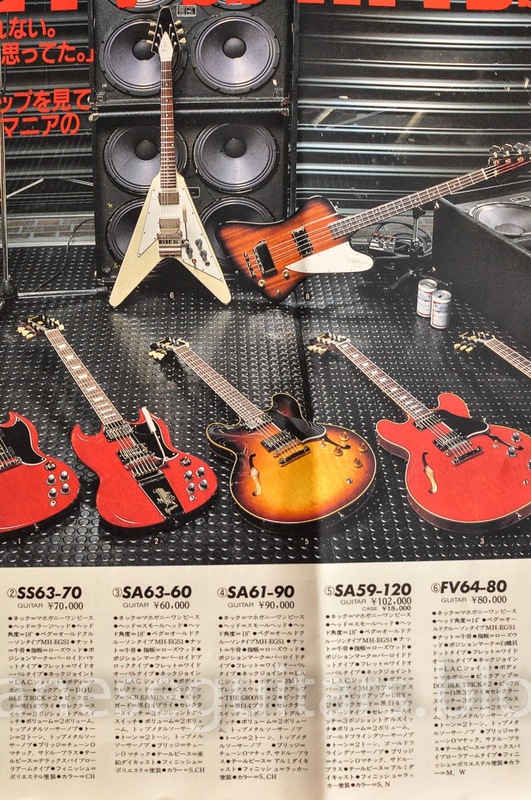 From the model name the FV64-80 would be based on a 1964 Gibson flying V. A short Internet search seems to confirm that there were actually no 1964 Gibson Flying V models but I guess that may not have been well-known in 1982. The Greco model came with Double Trick pickups, long tenon (pretty much a necessity for a V!) and had shell dot position markers. The knobs are the early-60's style black reflectors. The guitars were finished in poly and came in white or Maroon red. 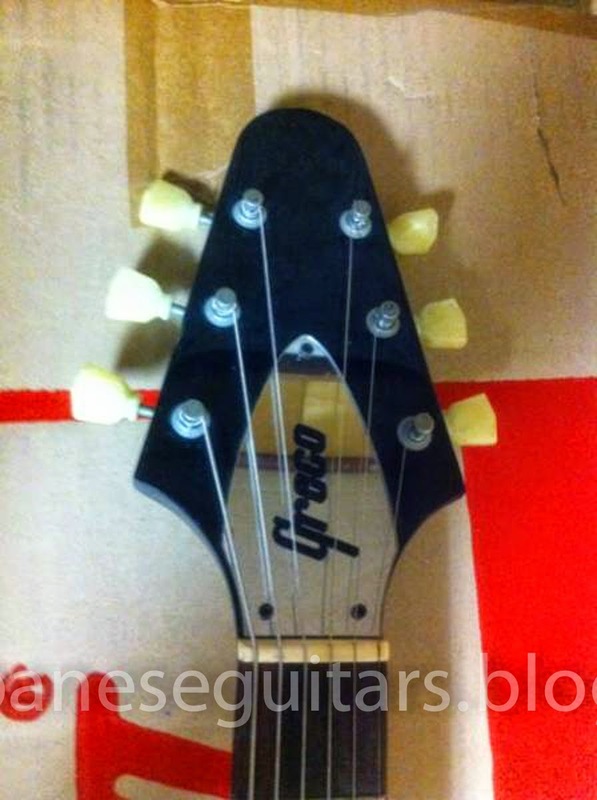 It has a 14 degree head angle and the nut width is only 40 mm so they were based on the late 60's Gibsons. In honour of the mighty V and Greco here are some videos from Youtube. 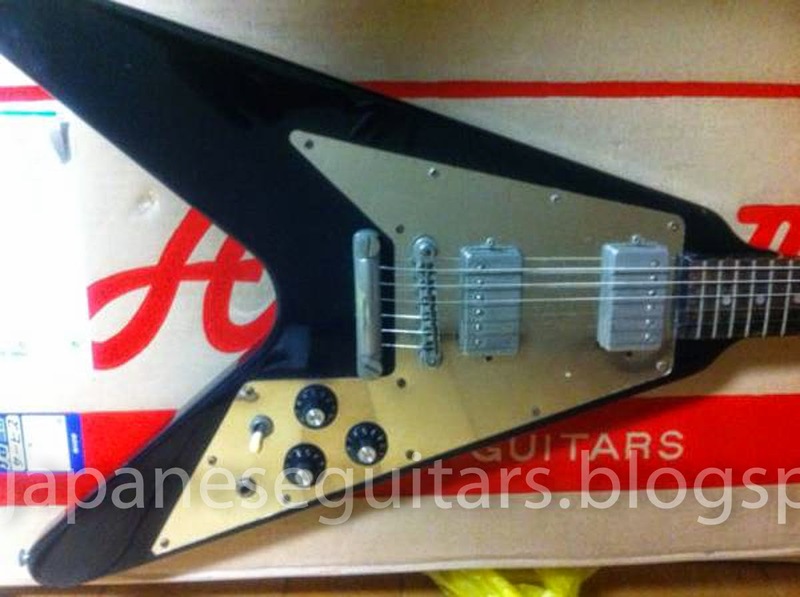 1980 Greco V. Probably has U-1000 or U-2000 pickups. A more serious side of the V.
Some guy trying to play some Freddie King. Looks like it didn't go over so well. No problem playing the blues for that other King, Albert and his guitar Lucy.